-Contributed by Keith; words by Roger- This Norton looks like a 1923 Big Four in road going trim. The race number indicates that it is likely to have been in a race even though the picture was taken in the public enclosure rather than the paddock. 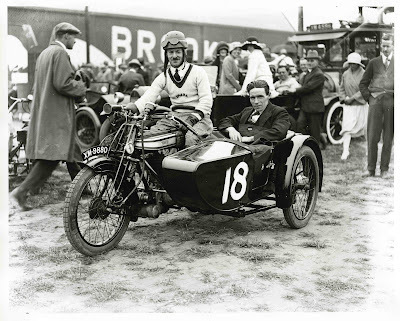 On 30 June 1923 there was an ACU combined meeting at Brooklands and the Private Owners handicap was won by L Jacobs on a 633 Norton sidecar outfit with number 18. 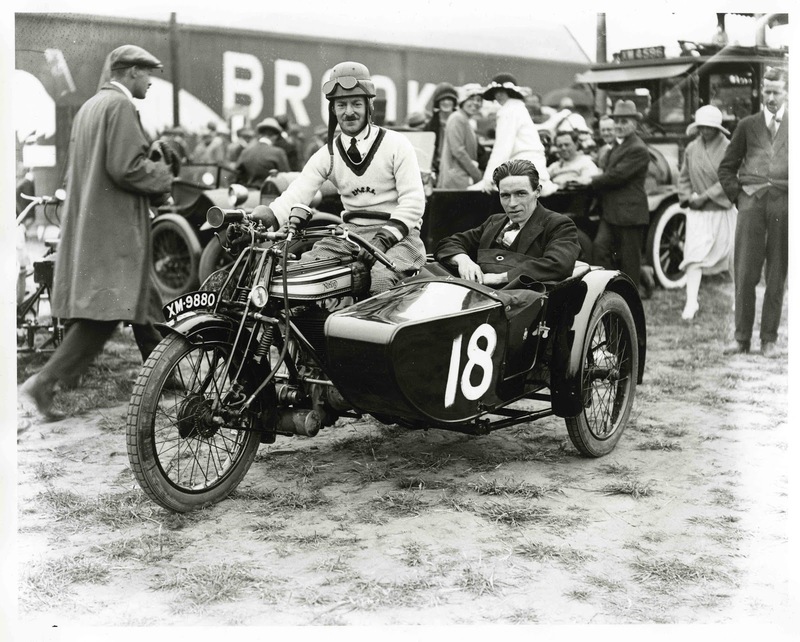 This is the best match with the race programmes and the outfit does look as though it was only a few months old - it would have been registered in January 1923.